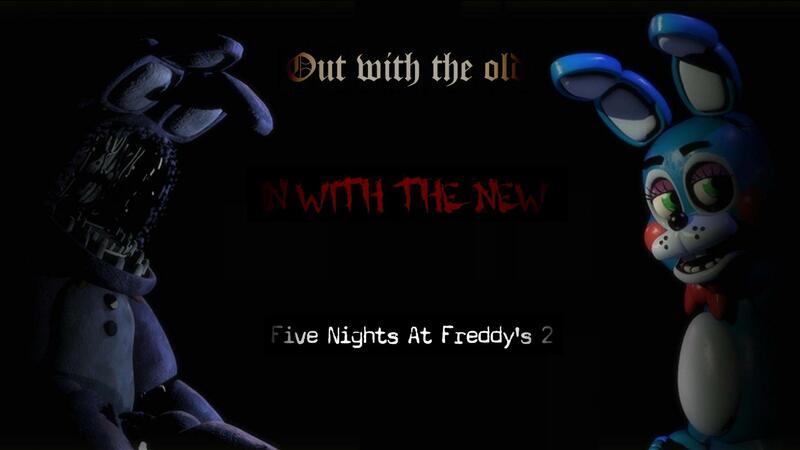 On November 11, fans of the first game were expecting the release of the demo of "Five Nights at Freddy's 2." However, this did not happen. When loyal fans checked Steam for the the demo of the game they were not expecting to see until Christmas, they ended up finding the full game. Creator Scott Cawthon had released the game early, to the delight of many gamers. FNaF2 takes players to a renovated, clean and kid-friendly Freddy Fazbear's Pizza. The animatronics are all new and state-of-the-art. In fact, they have top-quality facial recognition software and are linked to police criminal databases ... not that any of those things will stop them from trying to get into your office and murderously stuff you into an animatronic suit. In fact, you're in more danger than ever. Your office has no doors, just a large opening into a long hallway and two vents on either side. Oh, but don't worry — you aren't defenseless. You have a hollowed-out Freddy head that you can put on to convince the animatronics that you're one of them! The game starts out simple, as always. A helpful pre-recorded phone message informs you of four major changes to the original formula of "Five Nights." First, instead of closing doors, you'll be defending yourself by putting on a Freddy mask to fool the animatronics. Second, you have unlimited power. Check your vents and cameras as much as you like. Third, you now have a flashlight which you can use to look down the hallways and (somehow) light up rooms on your camera screen. This, however, does have limited battery life. Lastly, there is a music box in the Prize Corner that will distract one of the animatronics and can be wound remotely via your camera screen. From there on, things get more complicated. More animatronics start to come after you. In addition to the new animatronics comes the cast of the original game, now much worse from wear. Most of them behave the same as the three that were after you in the first night, but Foxy will not be fooled by your mask. You have to flash your light at him when you see him in the hallway to reset his circuits and make him go away. The last member of the new cast may come out this night, as well: a robotic boy with a balloon in his hand that will get into your office and disable your flashlight, leaving you open to Foxy. As the nights go on, the robots attack harder and faster. What little time that is not spent scaring away Foxy or hiding in your mask must be spent winding the music box to prevent an instant game over. The game quickly becomes less scary and more frustrating. It becomes a test of reflexes, and you learn to anticipate attacks. Checking any camera other than the Prize Corner (which has the music box) becomes pointless. However, the phone messages left to you become more and more mysterious and disturbing, providing motivation to keep playing. If you beat night five, you'll find a head-spinning plot twist that will make you reconsider every event of both games. Further information is given to those skilled enough to beat the bonus sixth night. While "Five Nights at Freddy's 2" sports advanced graphics and an interesting story, it doesn't completely make up for the inevitable grinding that comes in the final nights. The added game mechanics were interesting and made the game a bit more engaging than the first, but they also made it infinitely more difficult and frustrating. I personally enjoyed the game, but that didn't stop me from wanting to punch a hole in my laptop after spending two hours trying to beat night six with no success. All in all, "Five Nights at Freddy's 2" is worth the $8 it costs. It is by no means a perfect game, but it's fun and provides enough intrigue to keep a player interested. The game is currently available for PC, Android and iDevices.